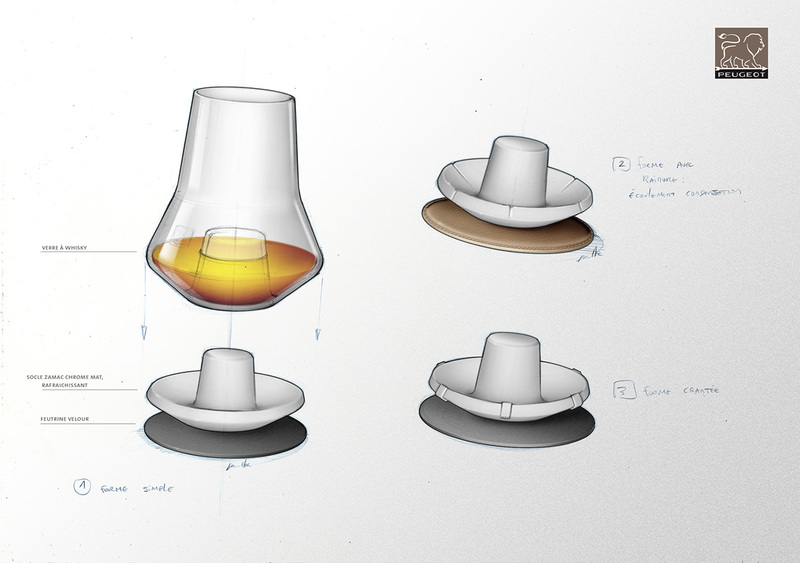 A proper whiskey-tasting glass is designed to direct the aromas up to your nose, since scent is such an integral part of appreciating the unique flavors of various varieties. Conventional whiskey tasting glassware narrows toward the top to hold in the scent, but can a few tweaks make the tasting process even more enjoyable? 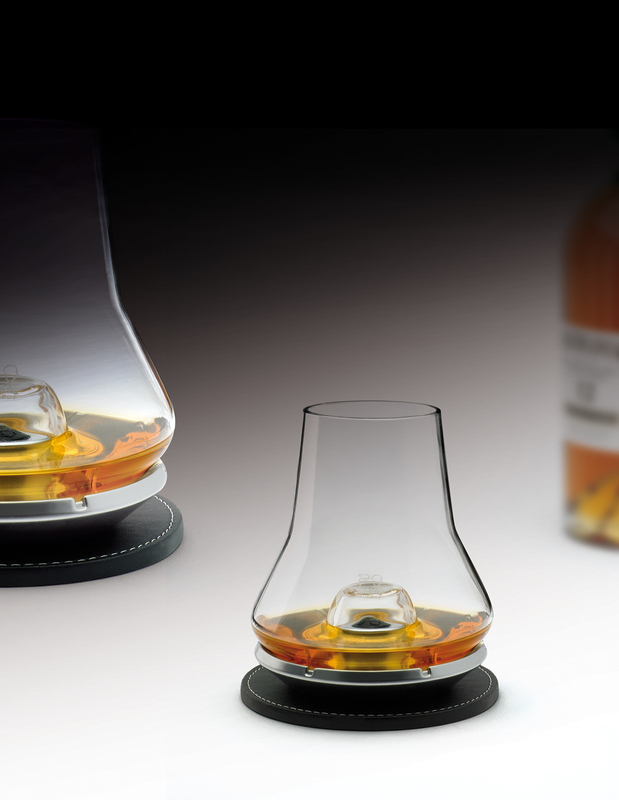 With a shape reminiscent of an oil lantern, this ‘whiskey tasting set’ by French designer Nicolas Brouillac adds a few extra features. 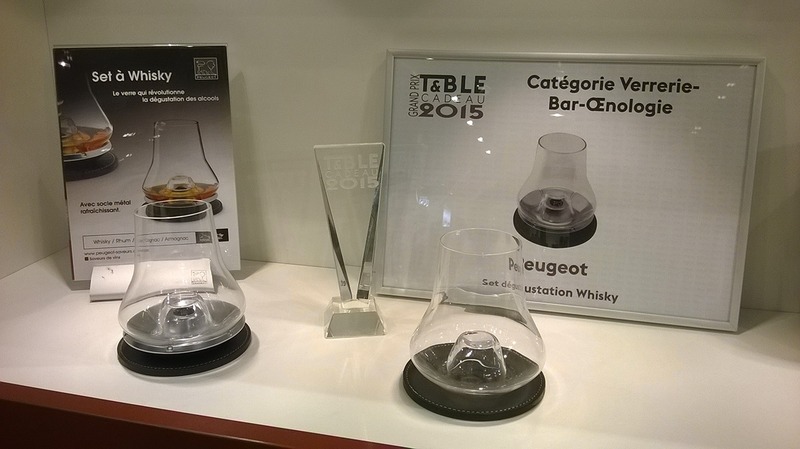 The nose is just as narrow as those on most whiskey tasting glasses, but the trick to this glass is in both its metal base and a central dome that distributes the liquor in a circular shape within the bowl. Pour only enough whiskey in the glass to remain below the level of the dome, which divides the liquor to prevent an overpowering elevation of alcohol vapors to the nose. 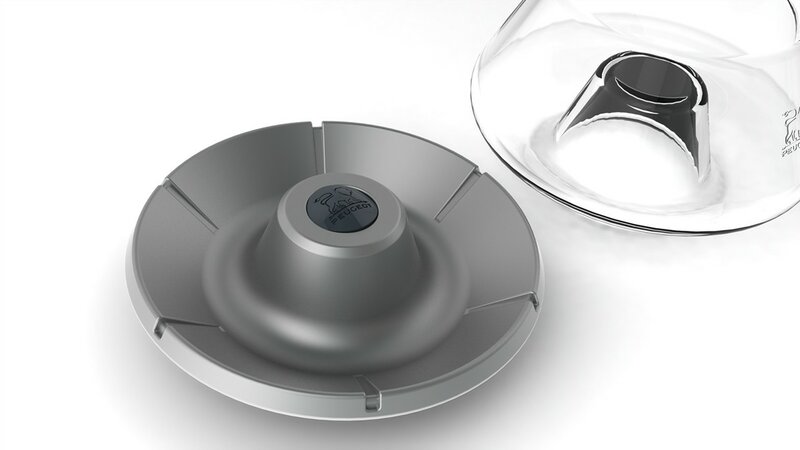 The metal base will chill the whiskey for at least thirty minutes without watering it down, eliminating the need for ice. You just pop it into the freezer for a few hours before use.